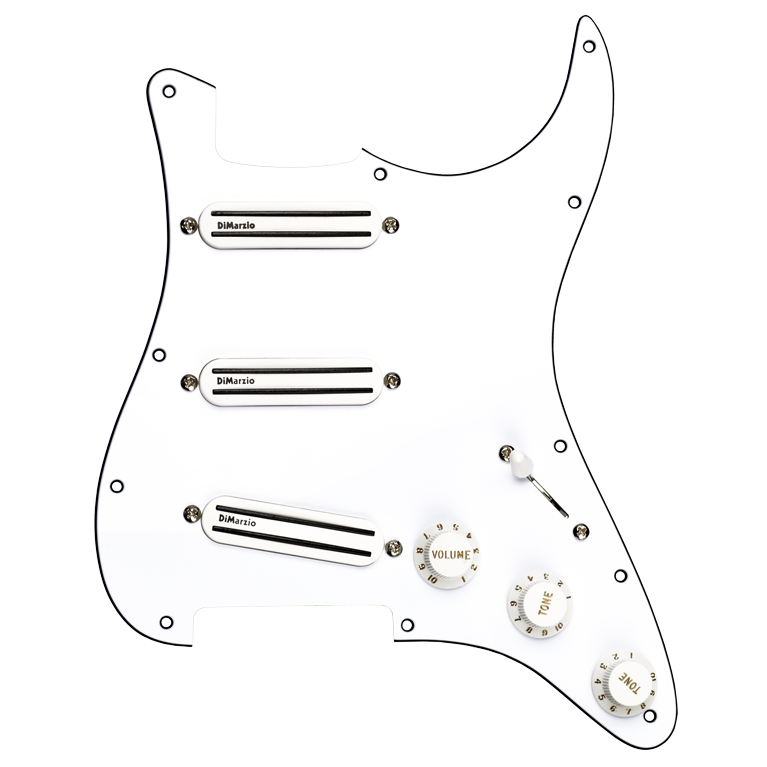 Drop this pre-wired pickguard into a guitar with an 11-hole standard pickguard for a heavyweight sound that covers a lot of musical territory. The pickguard features a Pro Track™ neck / Fast Track 1™ middle / Fast Track 2™ bridge pickup configuration. The Pro Track™ is warm and friendly, with a classic neck humbucker sound. The Fast Track 1™ is bright and clean, with enough power to keep up with the neck and bridge positions . The Fast Track 2™ is our heaviest-sounding Strat-size humbucker, with a huge mid-range and bass punch. Need we say more?